When science journalist and filmmaker Angela Saini left the BBC last month to pursue a freelance career, colleagues 'thought she was mad'. After joining the corporation in 2006 as reporter for BBC London News, she won accolades for her work including a Prix Circom award for European regional television journalism for her report on bogus universities. But, the Oxford University engineering graduate and self-trained journalist told Journalism.co.uk, reporting opportunities at the BBC just aren't enough to satisfy journalists with multimedia ambitions. 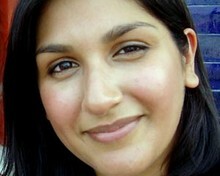 [Angela Saini] It was a really tough decision to leave the BBC, but I had reached the point at which the corporation couldn't offer me the kind of work I wanted to do. I was looking for the freedom to pursue my journalistic interest in science and politics, while still being able to work in multimedia. I found that the most incredible opportunities lay elsewhere - blogging, social media, digital video channels, not to mention the plethora of traditional outlets. A single employer simply can't offer all that variety. When the legendary critic, Marshall McLuhan, said the 'medium is the message', he couldn't have imagined how that would resonate today. For a journalist who writes on science and technology issues, I think it would be a failing not to exploit the latest ways of communicating. There's nothing maverick about this: it's the way I consume media so it should also be the way I work with it. Is there anything the BBC could have changed that would have made you stay? The BBC is an amazing organisation that has always given its employees the best resources and editorial support. In fact, people thought I was mad when I left. In many ways, the BBC has also been a media pioneer, especially in online news, red-button technology, and the fantastic iPlayer. But being a staff news reporter today, anywhere - as Nick Davies so brilliantly warned in Flat Earth News - often involves doing less real journalism and more churning out an inhuman quantity of stories in a multitude of formats. The BBC is far better than most, but it still exists in a competitive environment. It's not what I entered the profession for - I would rather have been an engineer - so I spent months preparing myself for a freelance career and took the leap. Now I do fewer stories but I am passionate about each one and the quality has gone up. That said, I still do some work for the corporation and I may do other projects in the future. As journalists are expected to offer more multimedia skills and take on more responsibilities in their work - both editorially and commercially - do you think large media organisations such as the BBC will struggle to keep them? There was a time that the only way you could create video was with a team of three or four people, thousands of pounds worth of equipment and a rare commission from a TV channel. So ambitious broadcast journalists had no choice but to stick with a big media organisation. Today I can use the web for research, go out alone with a hired broadcast-quality Sony Z1 Camera, edit when I get home on my Mac and have my work on screen the next day. Big broadcasters already understand that it's not only lone journalists, but also ordinary citizens who are easily creating mass media. I can't think of anything better than being at the front of that revolution, and I wouldn't be surprised if many others felt the same. Is freelancing the future for multimedia journalists? And should multimedia, multi-skilled journalists be developing their own brands to attract employers? One thing is clear: staff multimedia journalists work far harder, with more responsibility than their predecessors, but they often get paid the same. I don't see how idealistic, entrepreneurial journalists can possibly be happy working like this when there are other opportunities to be had. I have no doubt that some will realise that they can have a more fulfilling career on their own, getting paid for each individual piece of content they produce. That said, freelancing is not an easy life. It requires experience, a range of up-to-date skills and a huge portfolio of contacts. Building a brand or a specialism is certainly useful, and spending time getting to know how the big and small media players work is vital. What benefits do you hope going freelance will bring to you and your work? One immediate luxury of being freelance is being able to blog: mine is called Nothing Shocks Me, I'm a Scientist. In my first month I've been lucky enough to get as much work as I can handle. I'm making a short documentary about nuclear power for Al Jazeera International, doing pieces for a technology programme on the BBC World Service, and writing an article for a US science journal. In the future I'd love to be involved in some web-based video projects and to spend more time better understanding the subjects I cover. For me, being a multimedia freelancer is an experiment. I just hope the commissions don't run out.